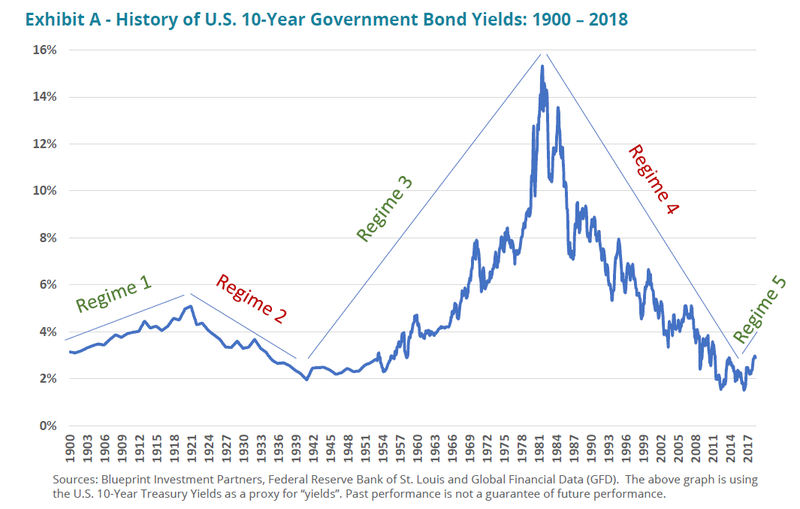 Fast forward to today - at this unique point in modern financial history - with interest rates near historic lows and stocks near historic highs. Against this backdrop we wonder if advisors and investors are correctly “looking at the problem” of a potential rise in interest rates. Since 1900, the U.S. has experienced five interest rate regimes. Exhibit A displays this full modern history of U.S. 10-year yields. Rather than solving a new problem with an old solution, Blueprint has considerable evidence of a better way.